Found 2 file extension associations related to SciWorks and 2 file formats developed specifically for use with SciWorks. 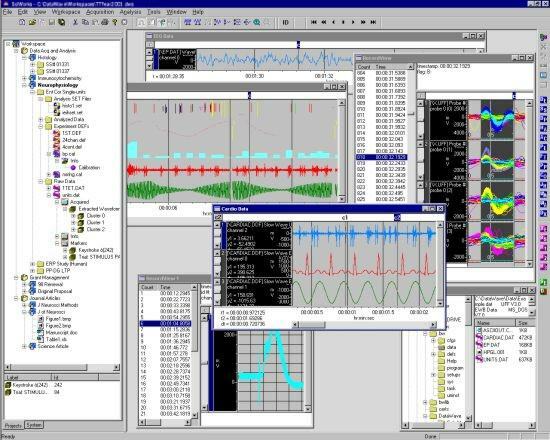 SciWorks is DataWave's base software package for hosting DataWave data acquisition and data analysis tools used in scientific experimentation and research. SciWorks' unique workspace and project oriented environment provides great flexibility and ease of use for working with large data files and unique data types typically encountered when working with data from data acquisition and data analysis. Several different file filters are currently supported for working with files of different types. The graphical workspace and project approach overcomes limitations typically encountered with searching, accessing or managing large or numerous data files. If you need more information please contact the developers of SciWorks (DataWave Technologies), or check out their product website.